Davanagere district carved out of the erstwhile three districts namely Chitradurga, Shimoga and Bellary derives its name from DEVANAGARI. Davanagere is one of THIRTY districts of Karnataka state. 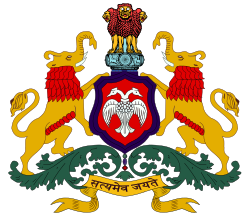 With creation of the new district on 15th August 1997 with Davanagere as its headquarters the district was given the name of the headquarters town called Davanagere. The Kundwada Lake is the closest place to the people of the city. Harihar Tungabhadra and ancient Harihareshwar Temple, Shantisagar, Kondajji’s Forest Reserve, Kaleeshwar Temple of ancient baalas, Bheemeshwara temples of Nilgunda, Uccadaghatri Karibasweswarar, Ajjayya Temple, Nandigudi, Early Rurshabhama, ancient Pushkarini of Santhebunur, the ancient Paschirina, Anenaduya ancient Basaveshwara and Ishwar Temple. East Chitradurga and Shimoga and Haveri in the southwest. The Tungabhadra River passes through the Honnali Taluk and then forms the natural boundaries in the Harihara and Harapanahalli borders in the west. Davanagere and Harihara towns pass through the broadest railway line through NH4. In 1997, then chief minister JH Patel transformed Davanagere into an independent district. Earlier, Davangere was one of the taluks of Chitradurga district. Davangere district is home to six taluks and one of the major commercial centers of Karnataka. Davanagere district is the one of the 30 districts of the State of Karnataka with its headquarters located in Davanagere town. Deputy Commissioner is the head of the District Administration -General, Revenue, and Development. As a District Magistrate he is responsible for maintenance of law and order in the district. Davanagere district is comprised of 6 talukas namely DAVANAGERE, HARIHAR, HONNALI, CHANNAGIRI, HARAPANAHALLI AND JAGALUR under the charge of Tahsildars which are grouped into two revenue sub-divisions namely Davanagere and Harapanahalli under the charge of Assistant Commissioner with headquarters at Davanagere and Harapanhalli respectively. Four taluks namely Davanagere, Harihar, Honnali and Channagiri come under Davanagere Sub-division, and two taluks namely Harapanhalli and Jagalur taluks come under Harapanhalli Sub-division. These six taluks are in turn divided into 267 revenue circles. The district has 918 villages and 6 towns including Davanagere and Harihar city municipal councils. As provided in the Karnataka Panchayat Raj Act 1993 the district is divided into 230 gram panchayats. The talukawise distribution of villages, revenue circles, towns and gram panchayats are shown below.